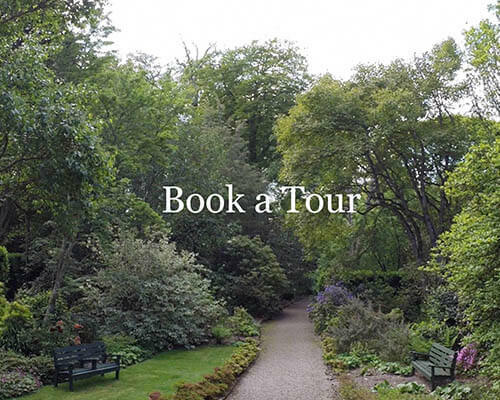 Trewithen means ‘house of the trees’ and with 30 acres of surrounding woodland gardens and more than two hundred acres of parkland, the name couldn’t be more appropriate. 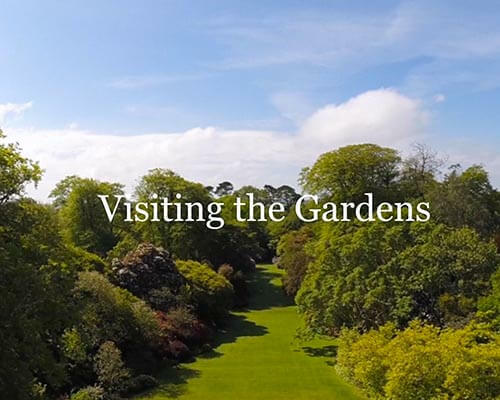 Revered as a masterpiece of landscape gardening, Trewithen’s south-facing great glade was developed at the time of the great plant hunting expeditions between 1910 and 1932. 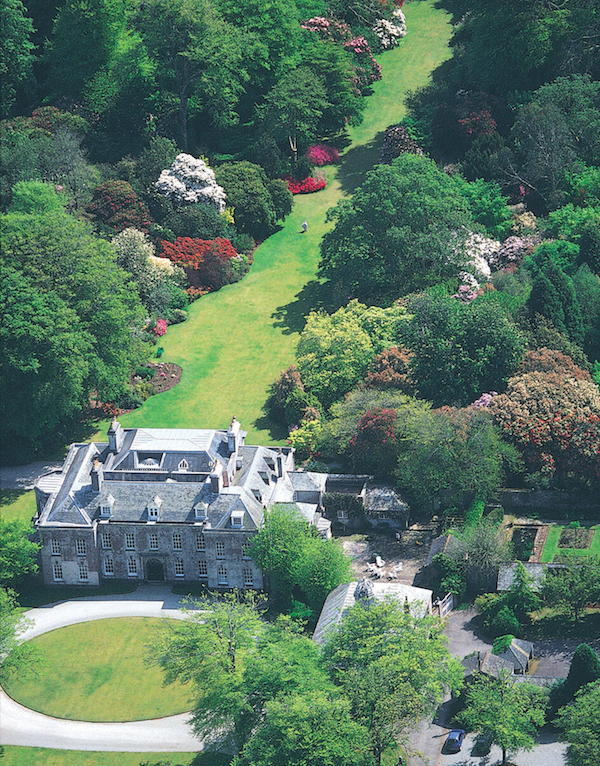 Astonishing seed collections were sent back to England and, thanks to the expertise of horticulturalist George Johnstone, who inherited the house in 1904, many were successfully cultivated at the Cornish Manor – ensuring a botanical reputation that endures to this day. 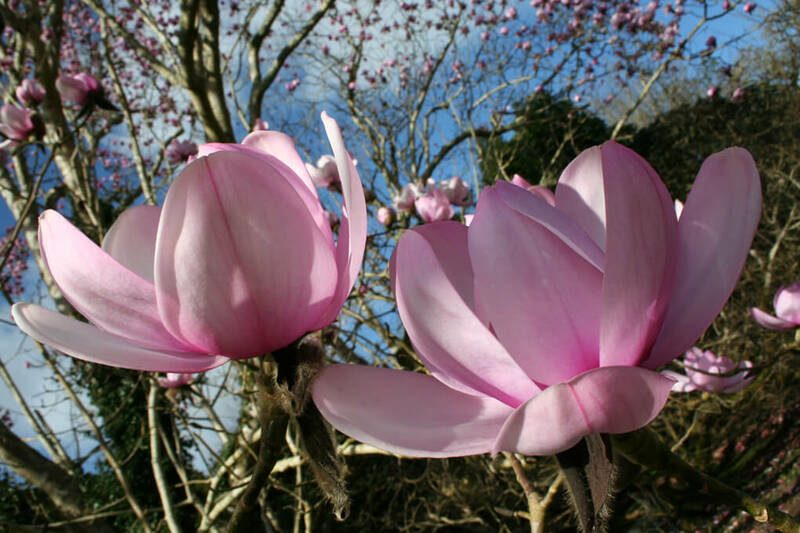 Among the many highlights is the UK’s finest specimen in cultivation of Magnolia campbellii subsp. Mollicomata* which was introduced from China and, standing at over 65 ft high, is one of the glories of the Garden when it flowers in March. Another is the very fine Camellia ‘Donation’ which was raised at Borde Hill in Sussex by Colonel Stephenson-Clarke. George Johnstone was given a plant and, because the original died before being propagated, all Camellia x williamsii ‘Donation’ in the world owe their existence to the one at Trewithen. Other highlights include an outstanding Kashmir Cypress, Cupressus cashmeriana, a Rhododendron ‘Frill’ that was raised as a hybrid at Trewithen, two very primitive genera, Gingko biloba the Maidenhair Tree and The Dawn Redwood, Metasequoia glyptostroboides and, close to its parents R. cinnabarinum and R. yunnanense, the Rhododendron ‘Alison Johnstone’ which was bred by George Johnstone and awarded an RHS Award of Merit in 1945. 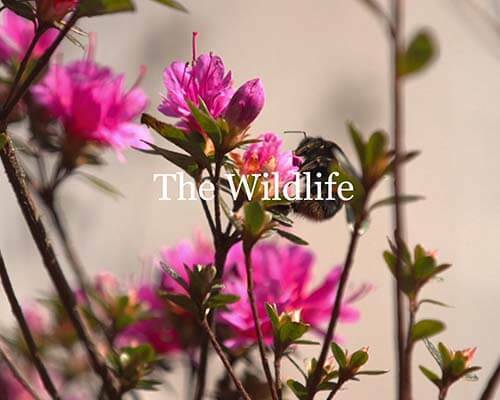 Offering a rich history and huge variety of beautiful specimens – if you are looking for gardens to visit in Cornwall, a trip to Trewithen is a must.